As we head into the new year, CBC Indigenous invites you to revisit some of our highlights from 2018. As we head into the new year, CBC Indigenous invites our audience to take a look back at some of the stories from the past year that inspired us. We look forward to hearing and sharing more of your stories in 2019. Last January, the Sagkeeng Oldtimers Hockey team was honoured by the Hockey Hall of Fame in Toronto in two new displays. Members of the team, made up mostly of residential school survivors from the Sagkeeng First Nation in Manitoba, made the trip to see their memorabilia displayed for the thousands of visitors who pass through the Hockey Hall of Fame annually. The team travelled around the world competing and won world cup titles in 1987 and 1989. "The exposure that will come from being in the Hockey Hall of Fame is so important to Canada and to the rest of the world, especially for reconciliation," said Grand Chief Willie Littlechild of the Treaty 6 Nations. The team's display at the Hockey Hall of Fame is a nod to the Truth and Reconciliation Commission's 87th call to action, which calls for sports halls of fame to provide public education on the stories of Indigenous athletes. Holmberg at his property located outside of Barrhead, Alta. hopes to find a First Nations family to live on his land to build a self-sustaining lifestyle together and live out the original intent of Treaty agreements. In February, an Alberta man offered an open invitation on Facebook for a First Nations family to share his five-acre property. Joel Holmberg made the offer in the days following Saskatchewan rancher Gerald Stanley's acquittal in the shooting death of Colten Boushie. 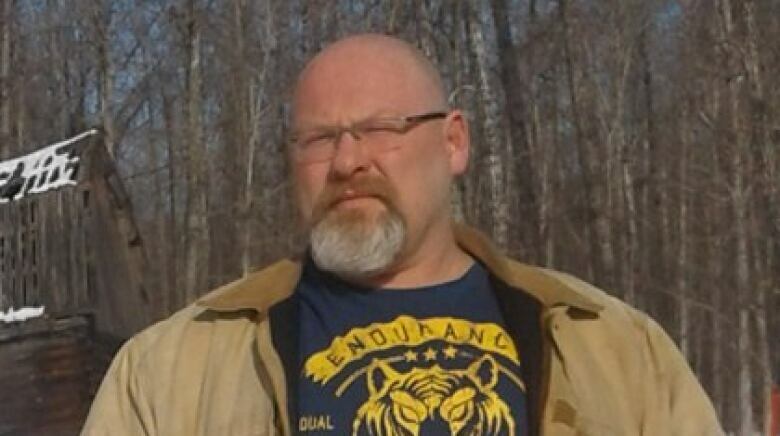 He was disturbed by the racist comments about First Nations that appeared online during and following the trial. "There's a lot of falsehoods about Indigenous people," he said. "[Other] people don't understand their good character and nature. There's a lot of ignorance and racism to overcome, especially in the Prairies." Holmberg grew up in the Kootenays region of B.C. where he said he developed close relationships with local First Nations elders and learned about First Nations culture and history that isn't taught in schools. 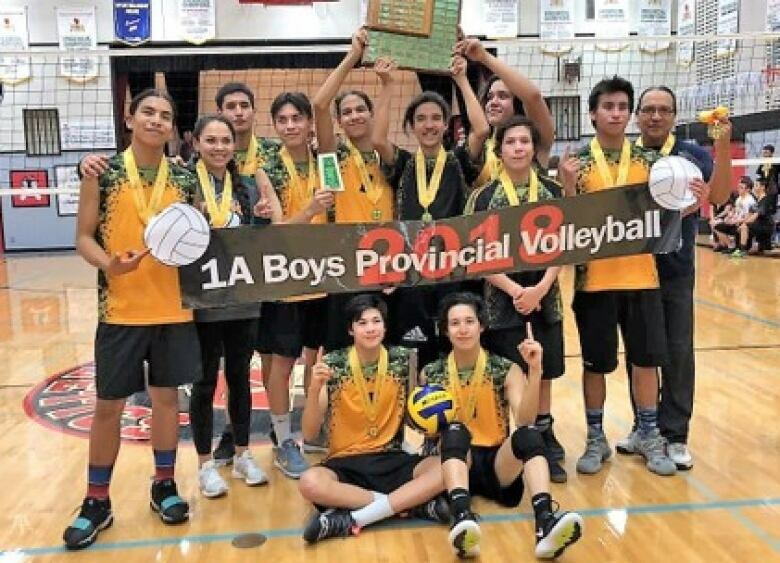 The Piysew Awasis Thunder senior boys volleyball team from Thunderchild First Nation, about 250 km northwest of Saskatoon, won the Saskatchewan provincial 1A championships in November, finishing their season with a 53-0 record. While most teams begin the year with warm-ups, drills and exercises, their season began with a Cree cultural camp. Their aim is balancing sports and culture. Their coach says instilling traditional life skills in his players is something that not only grounds them, but helps them become positive role models for others and keeps them away from negative aspects of teenage life. In August Todd Papequash, a Cree powwow dancer from Saskatchewan, lost his regalia on a highway in Manitoba when the bin he was using to transport it fell off the back of his pick-up truck. Luckily, Blaine Bateman of Portage La Prairie spotted the bin on the highway. When he found it contained ceremonial gear, he took it to the Long Plains First Nation office. They told him about the powwow happening nearby and Bateman drove out to the site to drop the regalia off with security. A few weeks later, Papequash tracked down Bateman and gave him a framed painting to say thank you. "I wanted to come back and meet [him] face to face, shake his hand and give him something of my appreciation for what he did," Todd Papequash said. 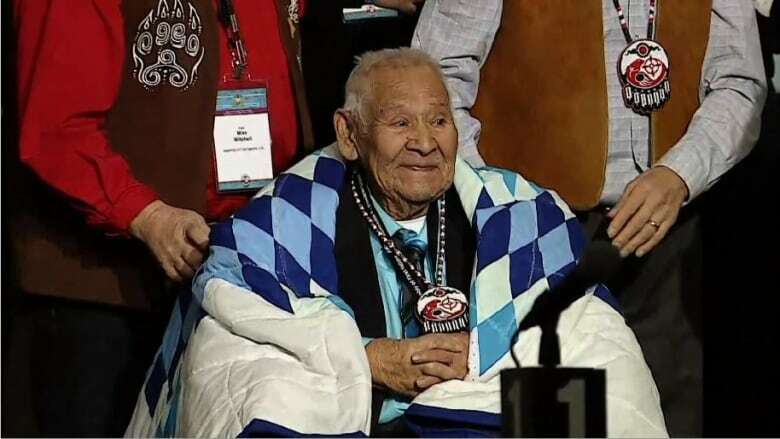 Louis Levi Oakes, 96, the last surviving Mohawk code talker, was honoured by the Assembly of First Nations and the House of Commons in December. The Akwesasne man was just 18 when he enlisted in the United States Army where he served for six years as a code talker in the South Pacific, New Guinea, and the Philippines. Oakes received an honourable discharge in 1946 and was awarded the Silver Star Medal, the third highest military decoration. AFN National Chief Perry Bellegarde gave Oakes a star blanket during the AFN Special Chiefs Assembly. Oakes said "Niawen'kó:wa ki' wáhi," which means "Great thanks, indeed" in Kanien'kéha (Mohawk language). Do you have a story you want to share with CBC Indigenous? Let us know on Twitter @CBCIndigenous, on our Facebook page or email us.